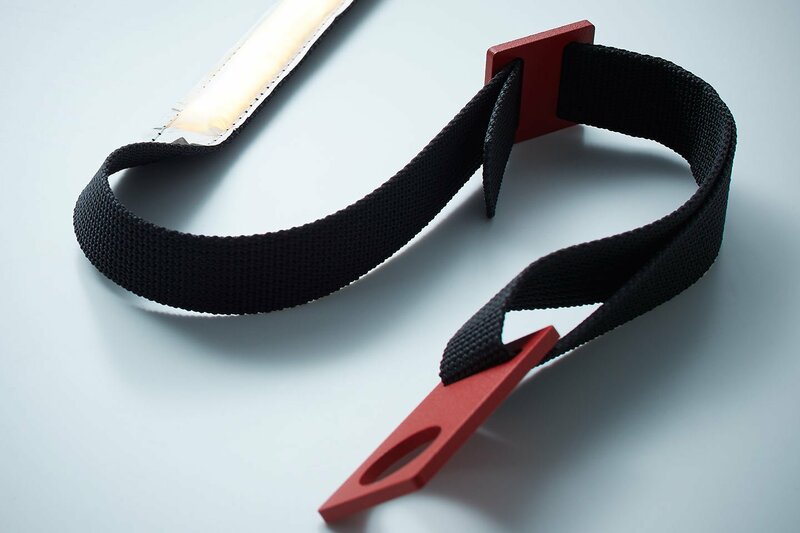 LightString© is a ﬂexibly adjustable textile strap with applied LEDs. 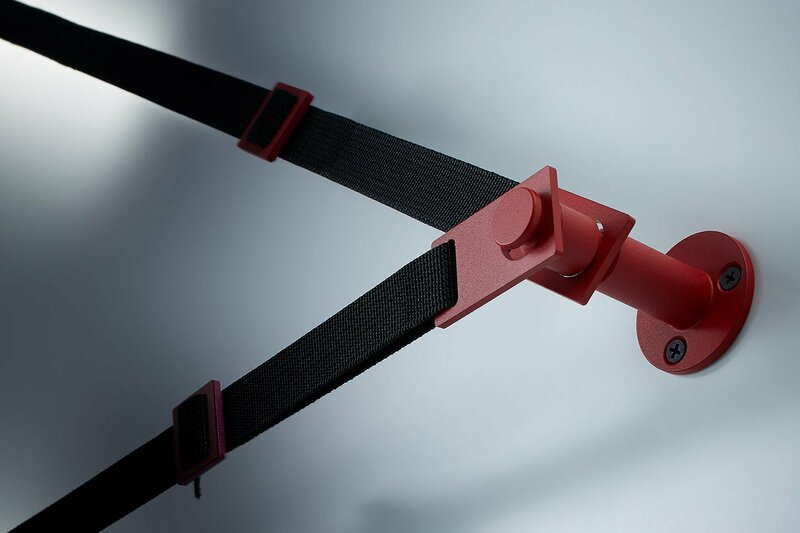 Through adjustable mounting consoles LightString© becomes a very individual light instillation. 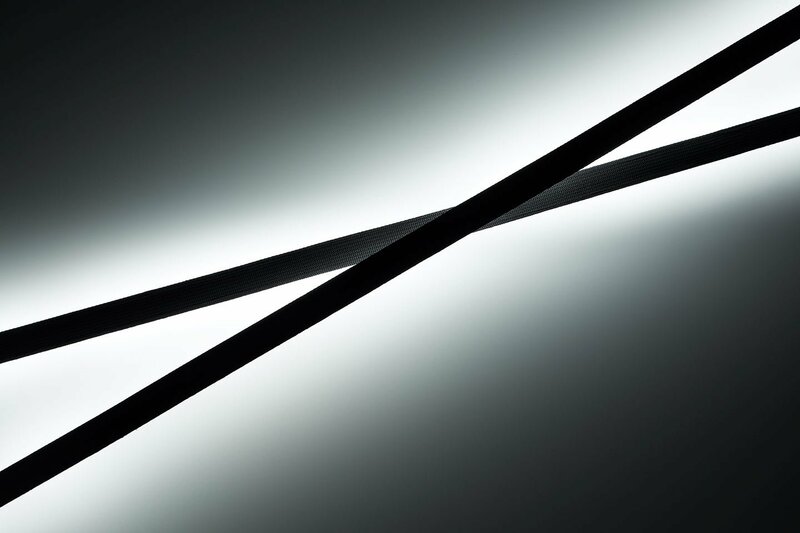 Variably, LightString© can set the stage for walls or even ceilings. 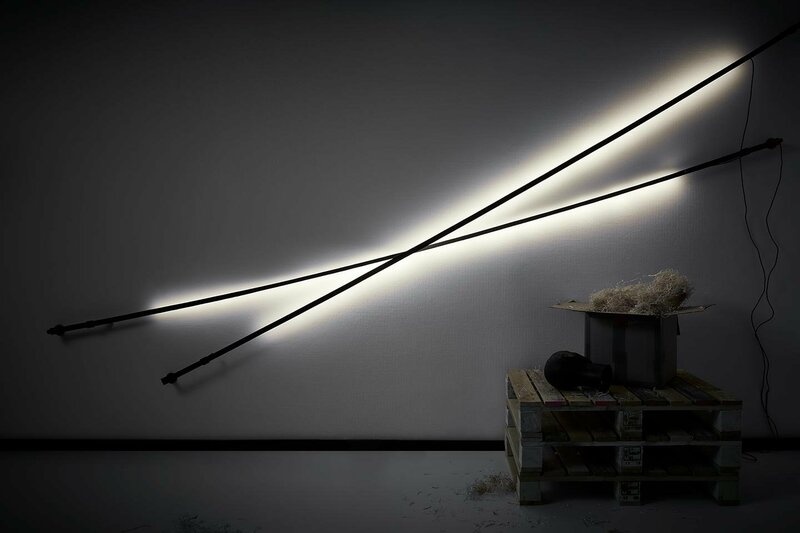 LightString© has a total length of 450cm; the illuminated part measures 250cm long. By means of mounting consoles LightString© is stretched between the wall brackets. Mounting consoles and wall brackets are available in textured white, red and black.